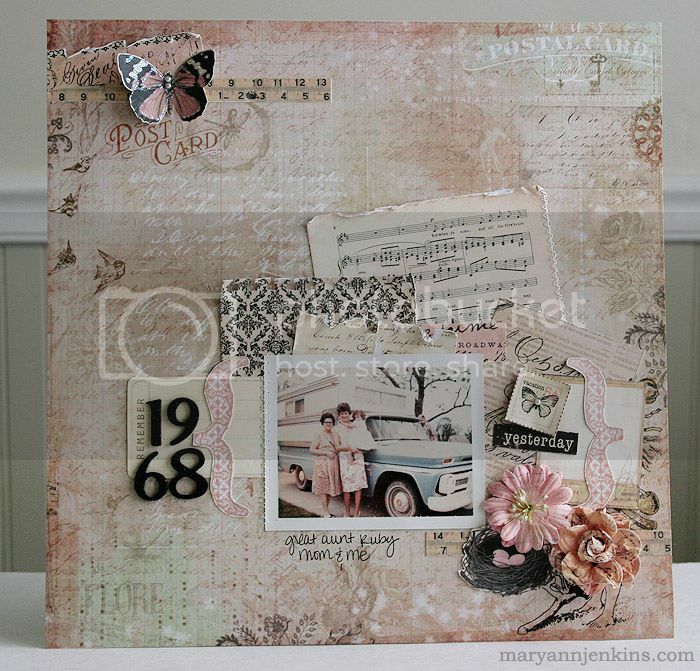 Here's another layout I made for Scrapbook Daisies this time using the newest collections from Prima. This is the only picture I have of my Great Aunt, my Mom and me, so it's quite special. I love how the papers and flowers go so well with the old photo. And...for those of you in the LA area, Crafted at the Port of Los Angeles opens this weekend! I wish I lived in California, I would love to go see the crafts. Just beautiful! I love your style! This is so pretty and delicate. I like the softness you have created here. You really rock the vintage photos Mary Ann! Gorgeous Mary Ann!! 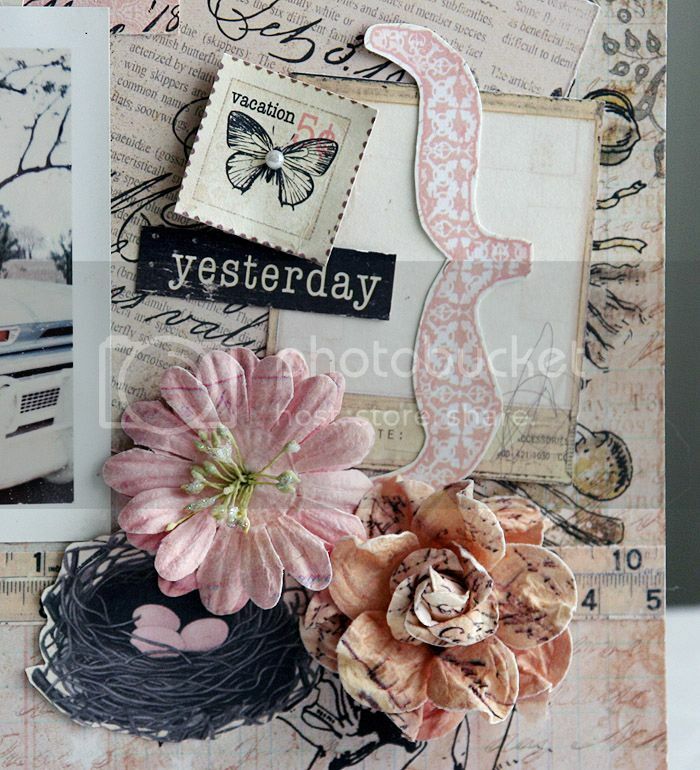 Love the soft muted colors and the pretty butterfly!! What a wonderful use of those supplies! Wish I had heard about that craft event sooner! absolutely stunning! What a gorgeous layout and gorgeos line. 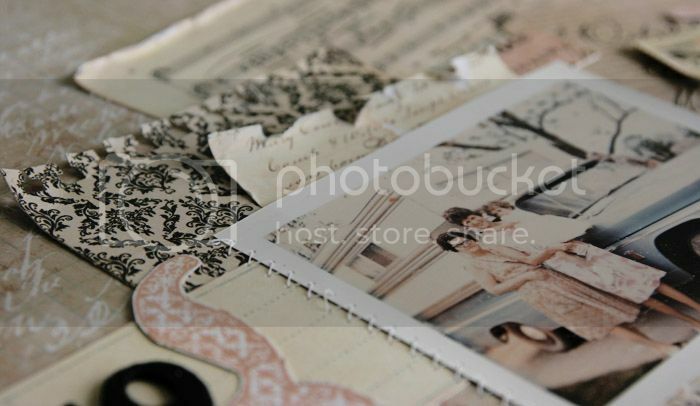 Beautiful vintage layout. Thanks for sharing. Very pretty page! I like how you added the date in the black numbers! So pretty! I love the colors that you used.